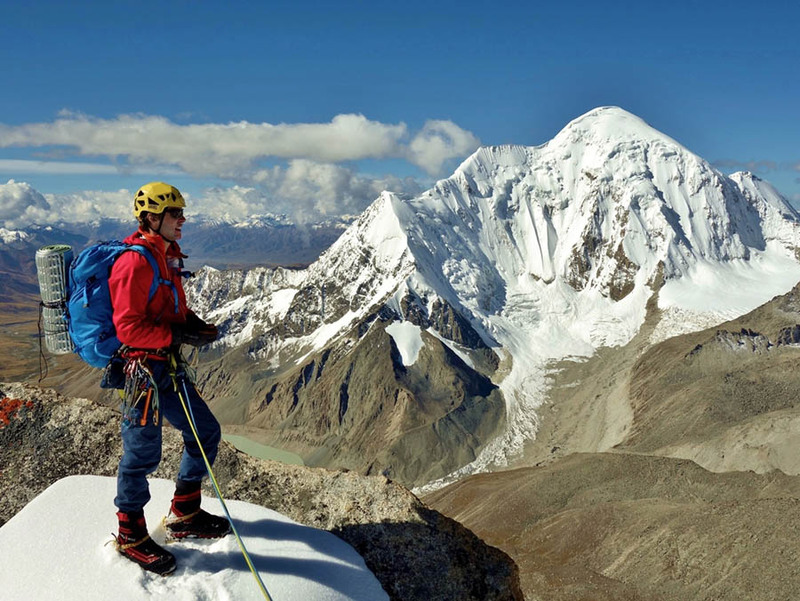 Recently Domen Kastelic, Olov Isaksson and Marcus Palm came back from a successful exploratory expedition in Tibet, where they made a first ascent of Jang Tsang Go (6300 m) in West Nyenchen Tanglha mountain range that is mainly unvisited area. Some years ago Olov already climbed there, where he noticed two interesting peaks, which stood out with their shape and invitingness. Because he was unable to gather any information if anyone already climbed them, this was one of the biggest motifs to return. The team met in China at the beginning of September, in a megacity of Chengdu that houses about 16 million inhabitants, and is the capital of the Sichuan province. The next day they took a bus to the city of Rilong (3200 m) the mountain region of Siguniang, a good 200 km North-West from Chengdu, where they planned to start acclimatisation for Tibet. 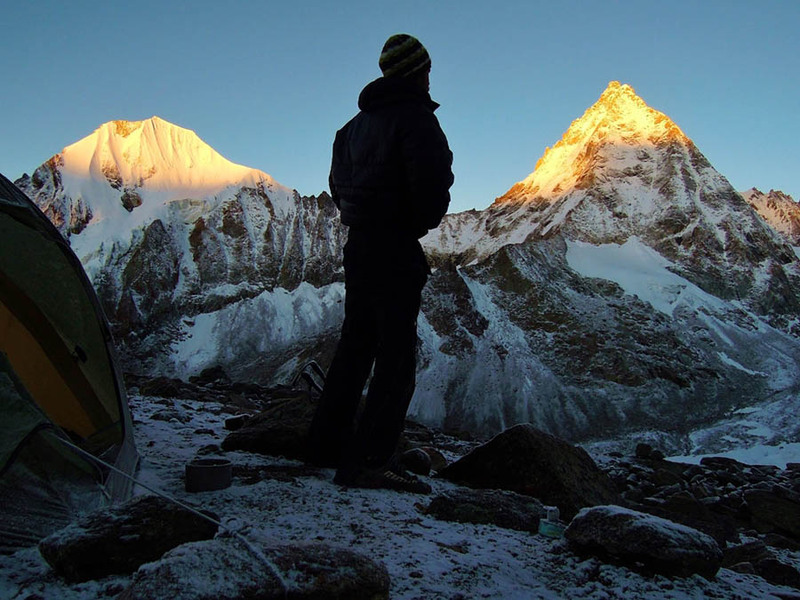 In the week they spent there, they were unable to observe any of the higher peaks (the highest in the region is Mt. Siguniang, 6250 m) due to the poor weather. 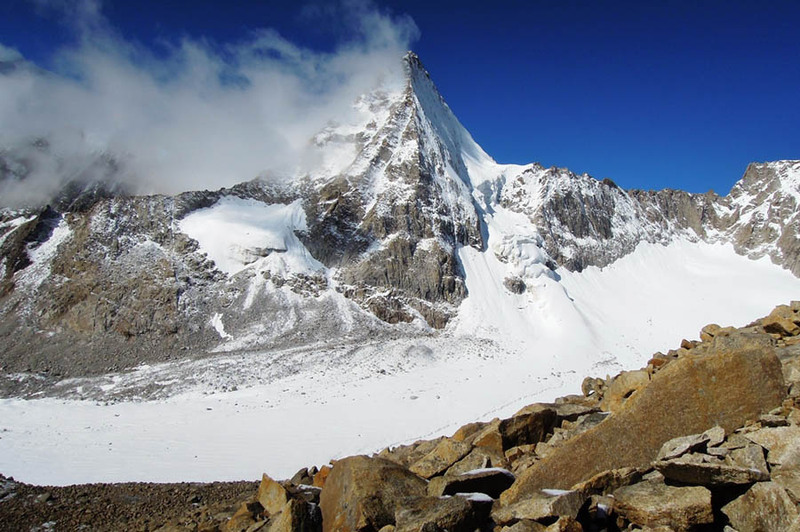 That is why they chose the Balang mountain pass (4500 m) for their starting point, and have spent the next four days in its surroundings and nearby peaks, which summit close to 5000 m.
They returned to the humid climate of Chengdu and the next day took a flight to Lhasa. They carried out the last shopping and made approximate plans of their activities with the agency. There were a cook and guide coming with them to the mountains, and they used the driver if needed, which is why he was returning to Lhasa, when not required. A mini bus took them on a half-day ride, North-West of Lhasa to the Suge La pass. Their stop was at the side valley, just under the Jang Tsang Go, their first climbing objective. 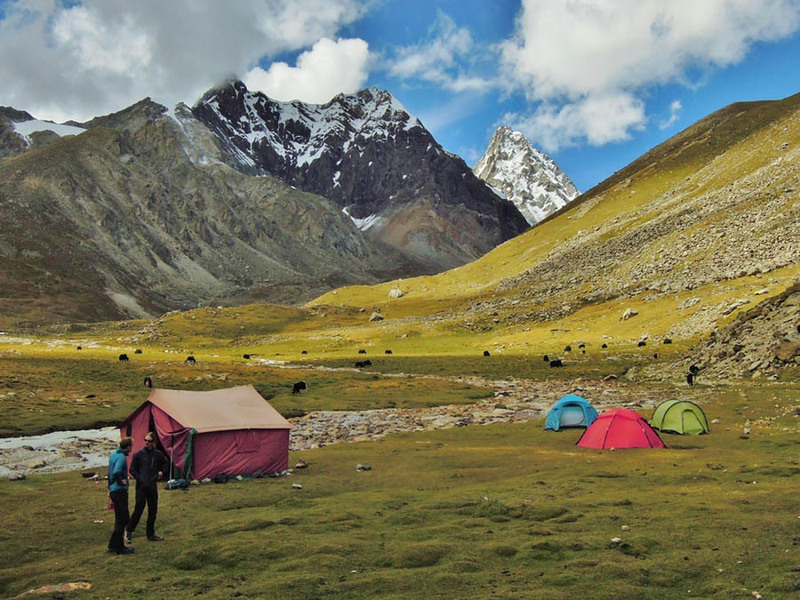 The camp was pitched in a pleasant green area by a stream, at a roughly 5000 m of altitude. The next two days they used as a sight-seeing acclimatisation tour. 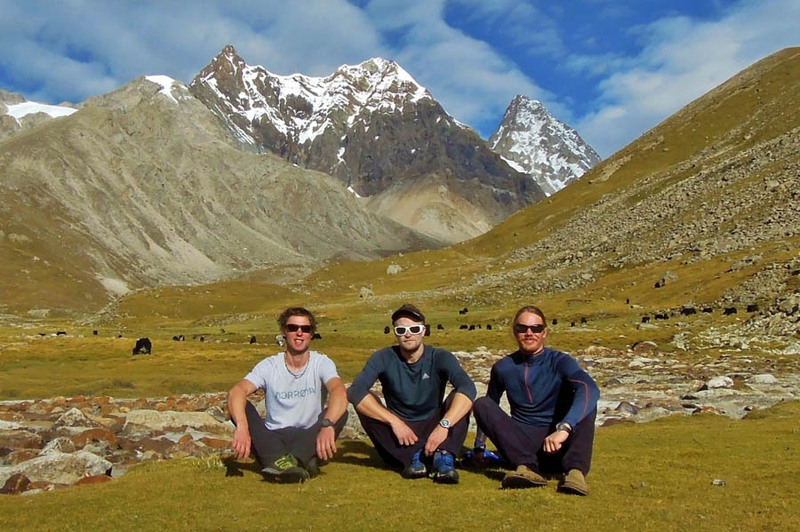 They slept at 5400 m and decided to hike up a ridge to the nearby peak at 5800 m. This position at the other side of the valley gave them an opportunity to inspect their objective from various points of view. When returning to the base, they spent their time resting and waiting for better weather conditions. There were rain and even a couple of storms every day since the expedition started. Their guide and cook felt restless and tired of spending the days waiting in the tent, so they anxiously asked when will they move to another location, while drinking all of the alcohol and smoked their cigarettes stash away in the mean time. Finally, they received a favourable weather forecast for three days – the last days they planned to spend in this area. They took off and reached the foot of the North-East face, which seemed more interesting, considering the conditions and their interest. 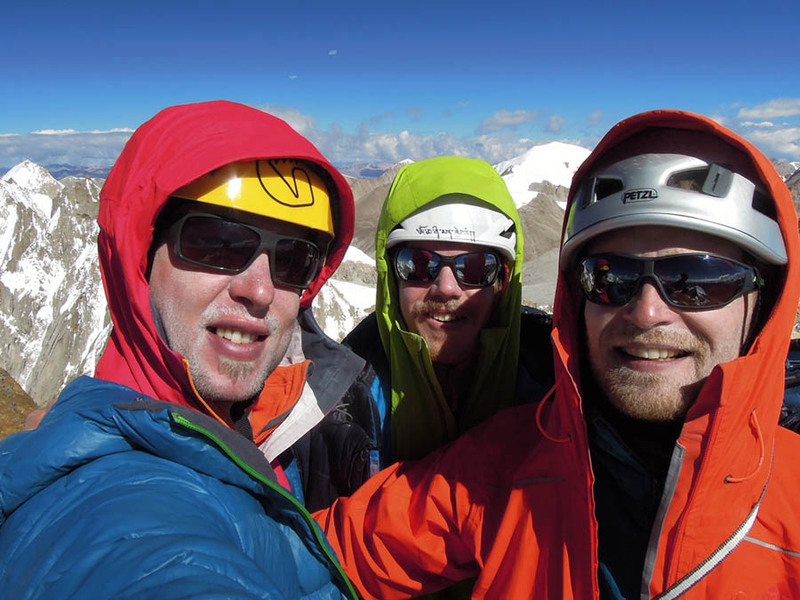 It took them four hours to reach ABC, and they pitched their tent on the glacier. Sleep did not come easily, because they continued to reflect on how climbing will go, due to steady light snow late into the night. They woke up into a cloudy and windy night. While still in the dark, they ascended through the lower snowfield, and they reached the steepest section of the route with the first light. 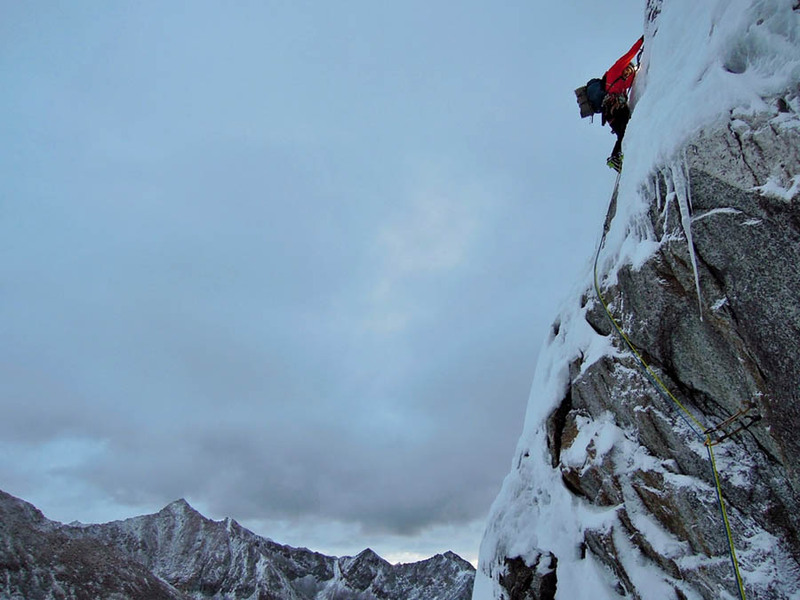 Spindrifts hindered the first couple of pitches, but after that climbing went smoother. 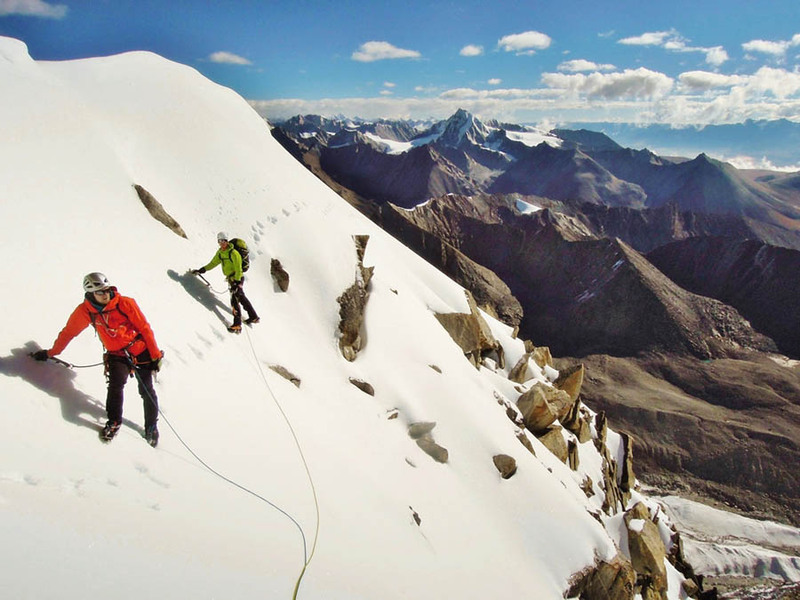 In the first twelve hours of climbing, their chosen route offered them some steep mixed and ice pitches, scratching on the slabs, exposed ridge climbing and even some wading in between. 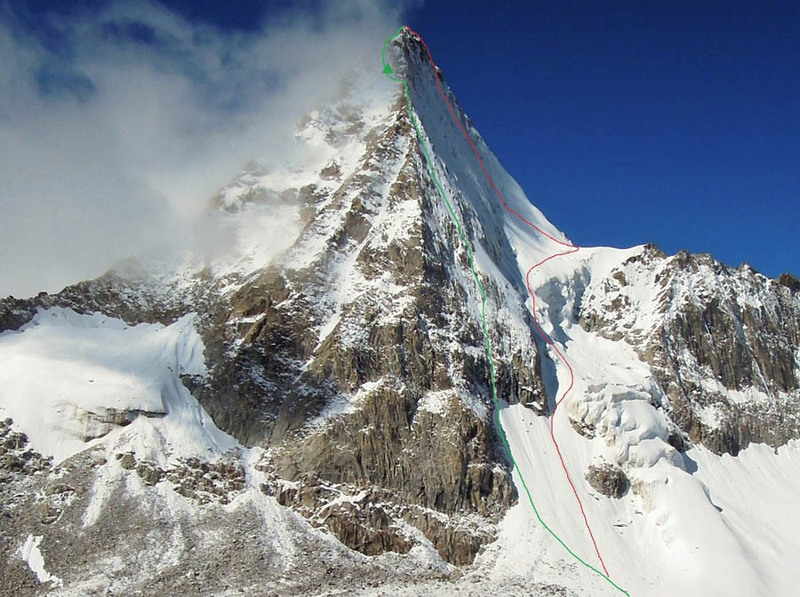 Not exactly knowing how long it will take them to the summit, they pitched the tent somewhere on the upper part of the East face under a rocky overhang. They did not hurry the next morning and rather waited to get some sunshine before they continued. 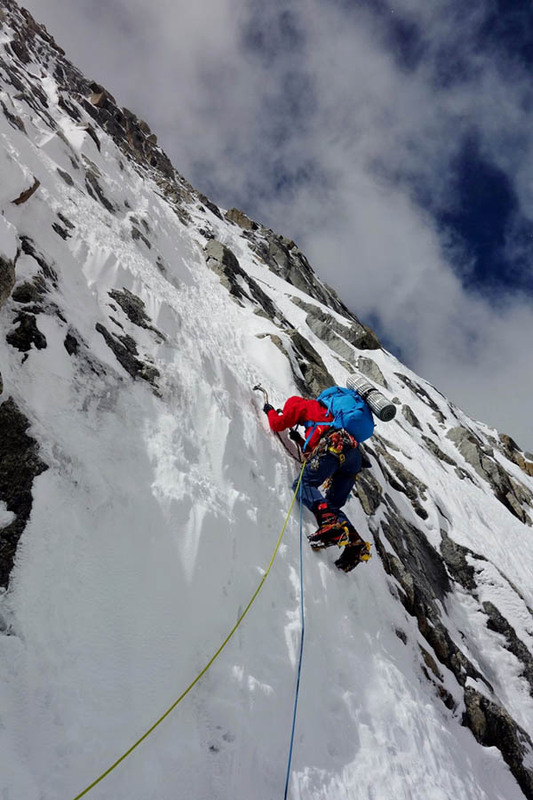 Already, after the first pitch, they noticed that they are just below the summit, which they reached after the next two pitches. 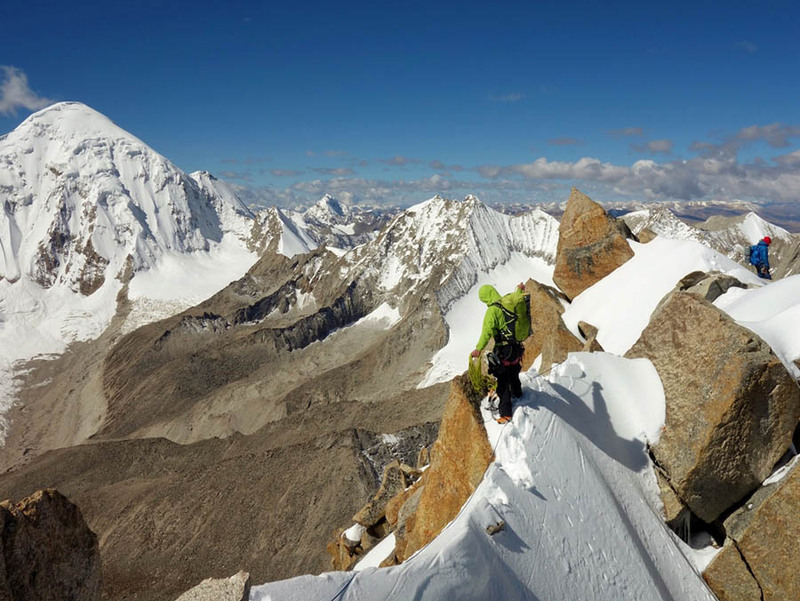 They were probably the first ones to climb the route, as well as the first ones to summit Jang Tsang Go, on 20th September 2016. They descended down the North side of the mountain. 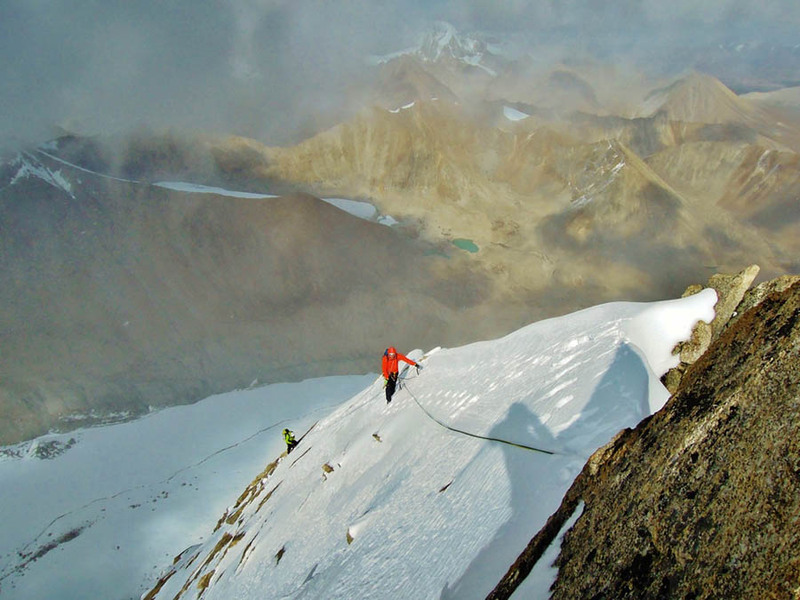 First, there was some rappelling, then walking down a steep and partly drifted snow, to the glacier and back to the BC. They packed up the base camp on the next day, and the transport already waited to take them to another location, under another mountain. To carry the heavy expedition load back to the road, they engaged a local shepherd, who loaded their gear on few yaks. The transportation took them to one of the highest mountain passes in the world, Suge La (5430 m), and just on the other side, at the police checkpoint in front of a small town, an unpleasant surprise waited for them. Their Tibetan visas did not specify the valley they were travelling towards. They managed to make an arrangement, for the police to let them go to the next large city, where they could contact their agency. The guide made an effort and the agency faxed them their visas, with the specified area, in the next couple of hours. They had to go back to the checkpoint to register themselves, but because evening already came, they decided to spend the night at the nearby inn. An all night party in the next-door discotheque and a Tibetan-electro music mix took them minds off the complications. Because their next destination was not so far away, they decided to take a detour to a nearby hot spring »spa«. And how it felt good! Their last approach was waiting. The following days were less then weather-favourable – still mixed, with daily downpours. They could see the mountain only on the first day from afar, after which it hid behind clouds. This time, the base was positioned by a river, near a village called Ji Ma Gang at 4600 m. They spent their time entertained with visits from the locals and by spending evenings with a Tibetan family, whose ten members hosted them for dinner a couple of days. 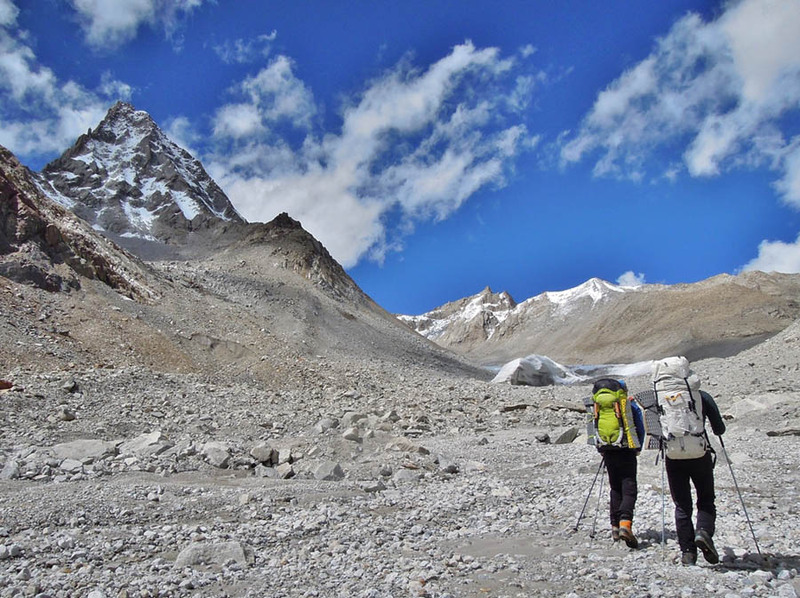 After only four days remained for them to spend in the mountains, the weather forecast did not improve, so they decided to take an earlier than planned return to Lhasa.